The song was played during a Halloween show during the river tour. 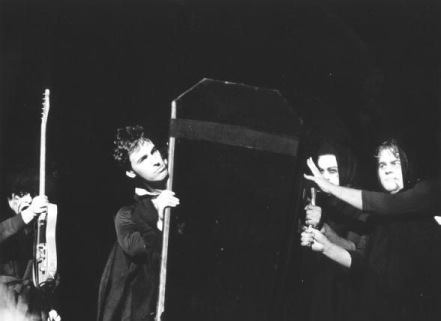 Set features a one-off version of Johnny Fuller's "Haunted House", after Bruce is carried onstage in a coffin and chased by roadies in ghost attire. Springsteen opens the second set with the Marketts instrumental hit "Out Of Limits," . Roy plays "Once Upon A Time In The West" as a prelude to "The River". A fuller "No Money Down" than the previous night is used as the introduction to "Cadillac Ranch". Johnny Fuller (April 20, 1929 – May 20, 1985) was an American West Coast and electric blues singer and guitarist. 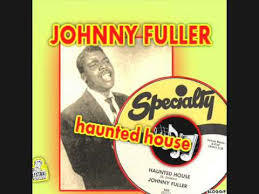 Fuller showed musical diversity, performing in several musical genres including rhythm and blues, gospel and rock and roll. His distinctive singing and guitar playing appeared on a number of 1950s San Francisco Bay Area recordings, although he ceased performing regularly by the late 1970s. His better known tracks were "Crying Won't Make Me Stay", "All Night Long", "You Got Me Whistling" and "Johnny Ace's Last Letter." Better be gone when the morning comes"